When I say the word Kasespatzle sometimes people look at me funny, like I’m making up words. It’s a real thing, though. In fact, it’s a traditional German macaroni and cheese recipe. 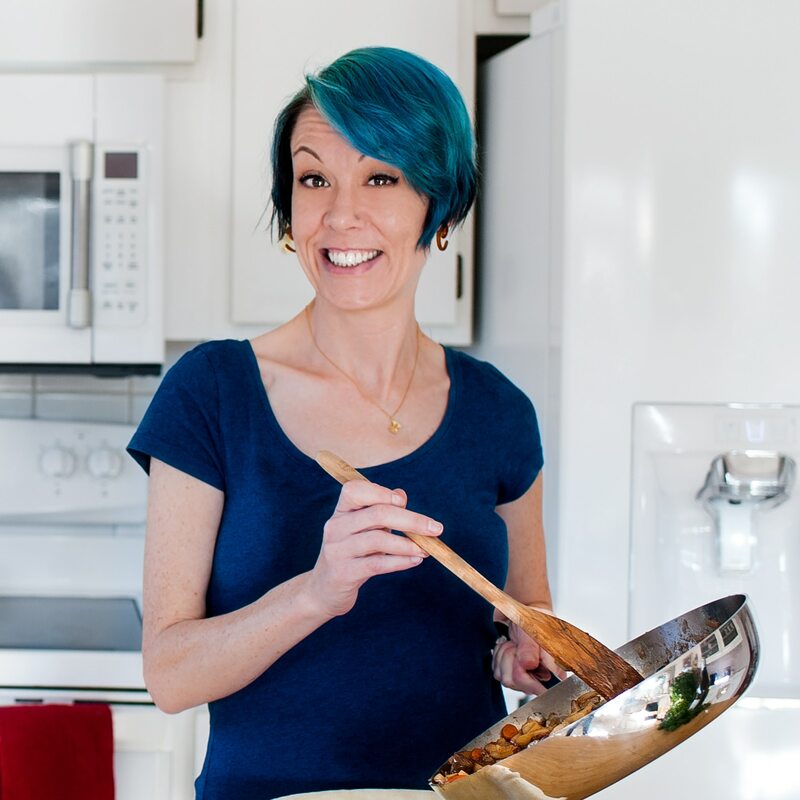 I wrote this recipe for my book, Melt: the Art of Macaroni and Cheese. If you’re looking for a hearty baked mac with crunchy sourdough croutons on top, check out this recipe. The Italians, stalwarts of all things cheese- and pasta-related, combined these two ingredients into many a hearty dish, such as baked ziti and cacio e pepe. The Swedes have their makaronipudding, a simple, stoic casserole of macaroni and any number of northern cheeses, such as Gruyère or Emmentaler. The French quite possibly perfected cheese sauce with their lovely Mornay, sister sauce to Our Lady of Béchamel, expanding upon the basic roux and milk combination with a few handfuls of shredded cheese. Even the Germans have a macaroni and cheese dish: Kasespatzle (or rather Käsespätzle). Found in many German homes and restaurants, Kasespatzle is just as entrenched in the traditional Deutsch comfort food lexicon as it is in ours. Pronounced KAE-zeh-SHPET-zleh, this dish is a great example of simple German comfort food at its finest. 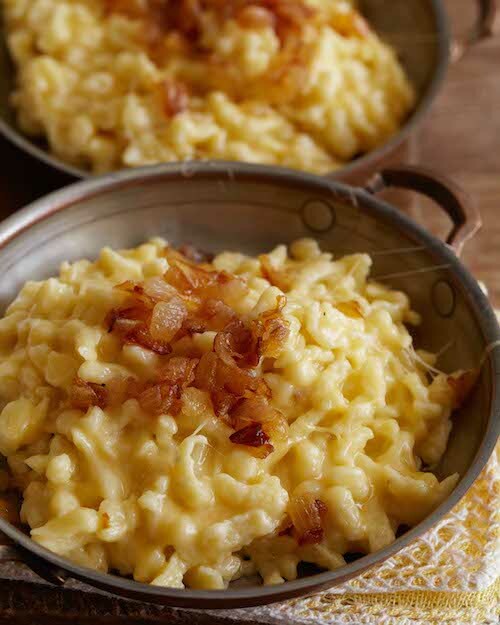 While American renditions of this German dish may add any number of odd spices, such as nutmeg or mustard powder, a basic Kasespatzle consists only of soft, dumpling-like noodles mixed with melty, stretchy cheese and topped with a touch of caramelized onion. When made from scratch, Kasespatzle beckons to a simpler time when food didn’t have to be complicated to be delicious. It just had to be fresh. To make spätzle, it helps to have a Spätzlehobel, or spätzle maker. This device is easy enough to use—you simply fill the hopper with batter, then slide it back and forth along a metal grate that is secured over a pot of boiling water. It’s an incredibly simple procedure, though you might appreciate a visual spätzle tutorial to give you an idea of how it’s supposed to work. If you feel like channeling your dearly departed Oma (or someone else’s, in the event you’re not of German descent), you can also make it the old-fashioned way with a board and scraper, also known as a Spätzlebrett und Schaber. This method is particularly effective at giving you long, slender noodles, as opposed to those produced by the hopper contraption, which are shorter and rounder and somewhat resemble scrambled eggs. If all else fails, you can also use a potato ricer or a large-holed colander. Hell, I’ve even seen people use a cheese grater to make spätzle, pushing batter through the holes with a rubber spatula. Remember, the keyword here is simple. Spätzle noodles are by their very nature imperfect, so don’t spend a lot of time worrying about how your finished product will look. Kasespatzle is a down home dish with little presence. And for those of you who think that making Kasespatzle sounds too difficult, my friend Nico, a twelve-year-old chef in training, was able to master the method on his first try. So, no excuses. In a heavy-bottomed pan, heat the butter over medium heat. Add the onions and cook just until they begin to brown. Turn the heat to low and slowly caramelize the onions until they are soft, brown, and sweetly fragrant, stirring occasionally to prevent them from sticking to the pan. Add a tablespoon of water here and there if necessary to keep them from cooking too fast. When they are done, remove the onions to a bowl and set the pan aside. Do not wash it. In a bowl, combine the eggs and 1/4 cup of the heavy cream, beating to mix. In another, smaller bowl, combine the flour, salt, and pepper, combining well. Slowly add the dry ingredients to the wet, stirring with a wooden spoon. Do not overmix: stop stirring as soon as the batter is smooth and the flour has disappeared into the cream and eggs. Cover the batter and let it rest for 20 minutes. While the batter is resting, bring a large pot of water to boil. Once it’s bubbling madly, add a few tablespoons of salt and bring it back up to a boil. Set your spätzle maker over the pot and press the dough through the holes into the boiling water. (If using a flat cheese grater, just press the dough through the holes with your fingers or a wooden spoon.) You’ll need to work in two or three batches depending on how big your pot is. Once the spätzle float to the top, let them cook for another 2 minutes. Remove them with a slotted spoon and set them to dry on a plate lined with a paper towel. Once all of your spätzle are done, add them to the pan that you cooked the onions in. Turn the heat to medium and cook the spätzle for 2 minutes, tossing a few times to get them to heat evenly. Add the shredded cheese and remaining 3 tablespoons of heavy cream, stirring until all the cheese is melted. Salt and pepper to taste. Serve immediately, topped with a teaspoon of caramelized onions.